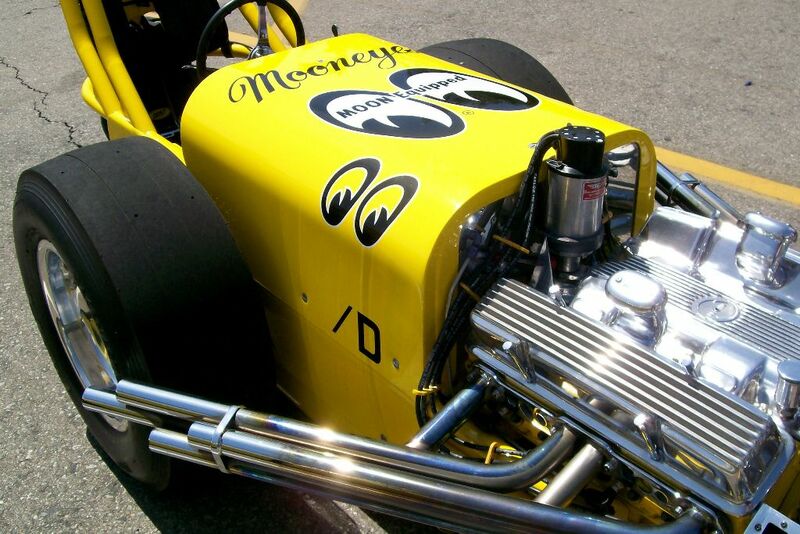 Today the sun was shining and the heat was on at Irwindale Speedway for Mooneyes Summer Show and Drag 2010! I really like this show because its got variety. 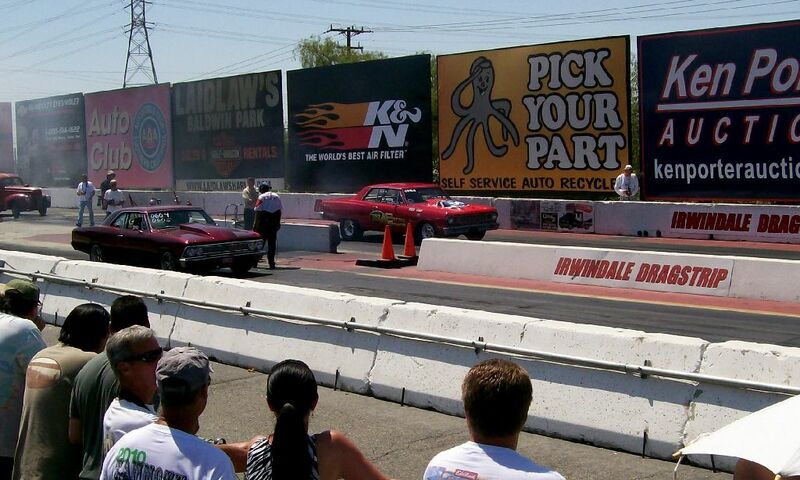 Sunday’s show not only had a good turnout of cars but there was also drag racing! 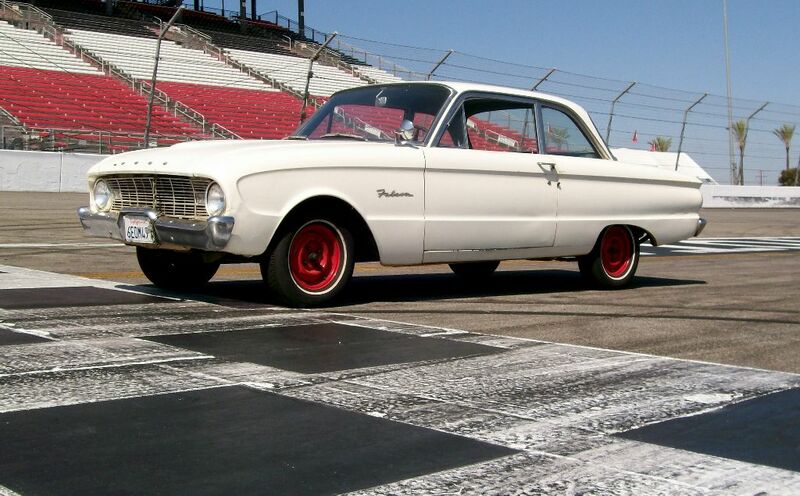 While its always cool to see to see any cars drag race, I only wish that more of the “normal” cars would’ve rumbled their way to the 1/8 mile dragstrip. Wouldn’t it have been great if these two works of art sacrificed some rubber on the track!?! 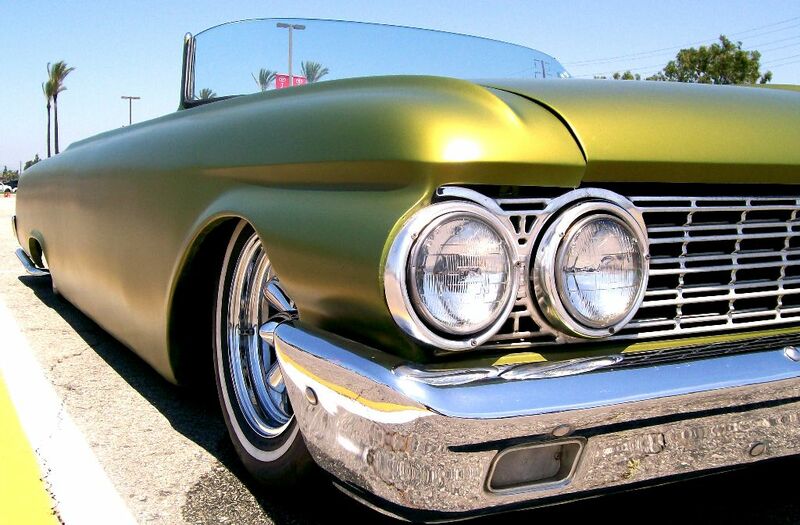 All that heat was cooled off by this sleek custom convertible. 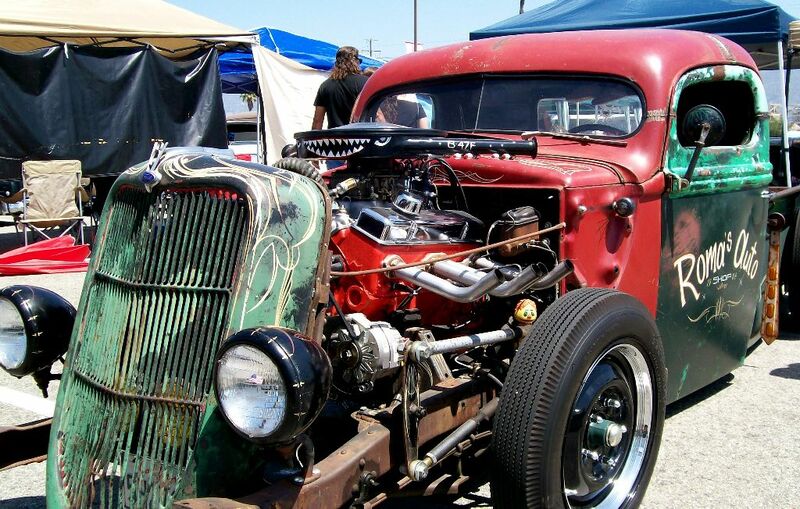 Smokin’ hot or ice cold, Mooneyes Summer Show 2010 was a good time. Plenty of cars and friends to go around. Speakin’ of going around…my personal favorite part of the day was having to park out in the middle of the race track. 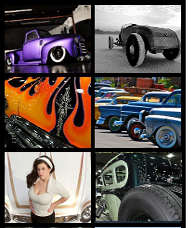 I can’t believe you were at thi MOONEYES event and got the article together that fast. I too was there and had a ball. The drag racing had something for everyone. The jet car went 199 and change in the 1/8 mile!!!! The wheel stander never got thie thing running well enough to make a full pass but still was entertaining. Most of the racing was pretty serious though. It was loud, fast, and fun. As usual, most of the cars were over the top but waaaay cool. I recomend this event to all that want to overload the senses.